I've decided to take part in Living Arrows, to share a photo of Ebony each week throughout the year. I hope this will encourage me to get better acquainted with my camera, and to get some good photos of Ebony growing up. I know that by the end of this year, she will seem very grown up compared to the toddler playing hide and seek in this photograph. 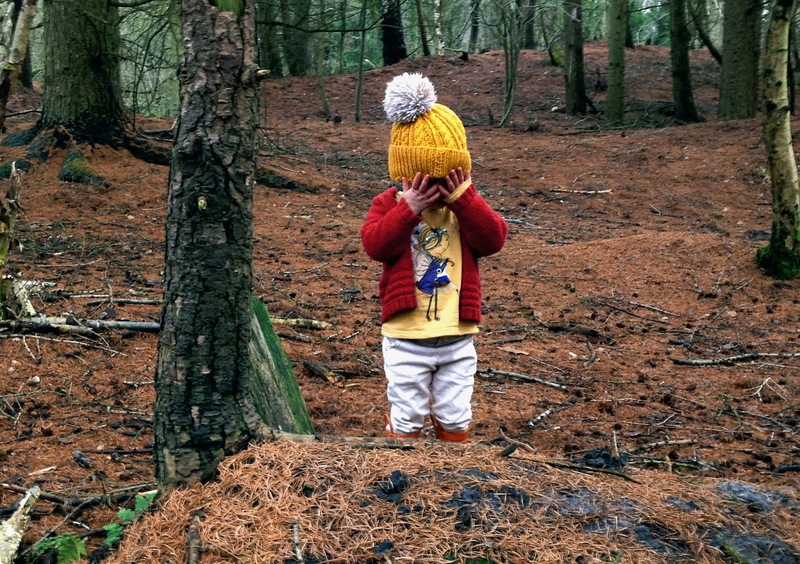 This photo was taken on my phone during a game of hide and seek in Delamere Forest. Ebony can't count to 10 yet, and has a very loose understanding of the rules of hide and seek, but loves playing all the same.